In a Monday night AFC West showdown, the Los Angeles Chargers travel to Denver to take on the Broncos in Week 1 NFL action. For the second consecutive season, the Denver Broncos went into the preseason with an open competition at quarterback. Last season, Trevor Siemian came out of nowhere to beat out first rounder Paxton Lynch, and veteran Mark Sanchez, earning the starting gig. While Sanchez is gone, Siemian did have to beat out Lynch again this Summer, which he did easily. While Siemian is certainly deserving of the starting job, the offense for Denver is going to struggle no matter who is under center. The running game is non-existent, and the offensive line is considered a weakness at this point. Denver does have talent on the outside to make plays, but will Siemian have enough time this season to let the play develop. The Chargers will call Los Angeles home this season, after spending the last 50-plus years in San Diego. Philip Rivers comes into the season as one of the best quarterbacks in the conference, though the team did nothing this offseason to protect him. He has a ton of weapons on the offensive side of the ball, but like Siemian, he is going to have to get the ball out quick in front of a porous offensive line this season. Monday Night Football will be broadcasted on ESPN throughout the season, and in Week 1, we will be treated to a doubleheader. The Vikings and Saints will kick off the two-game set, and will be followed by the Los Angeles Chargers at the Denver Broncos. Anytime these two teams get together it is bound to be a good one, so a three-point line is pretty accurate. The over/under also seems about right, as the Broncos defense should keep the Chargers offense in check at home. The line and over/under has changed a lot since opening, so check out sportsbookreview.com for up-to-date numbers prior to kick off. Once again, the Broncos have an elite defense, and they will be the difference in this one. 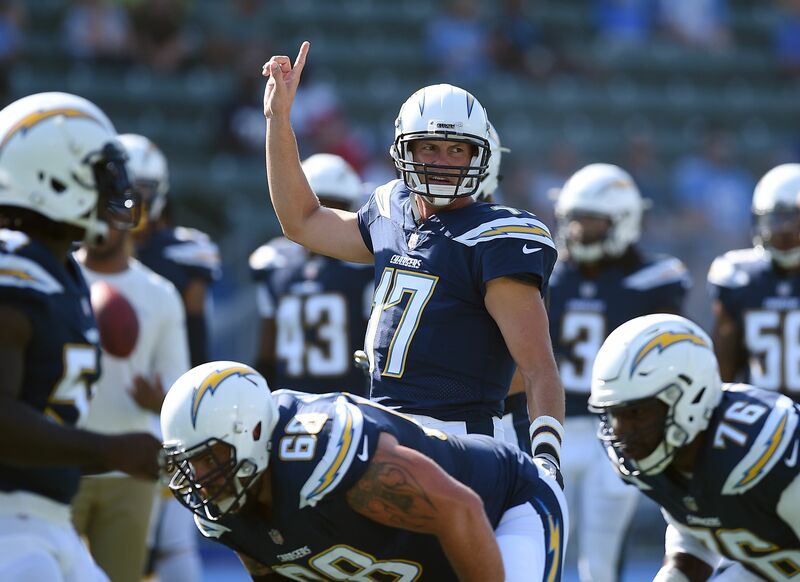 Rivers is still one of the best quarterbacks in the league, but the offensive line is truly worrisome at this point. Getting Keenan Allen back in the passing game is going to be big for Los Angeles this season, just not in this one. Siemian will do enough to keep them in the game, but one of the Broncos touchdowns in this one may come from the defense. Look for Denver to keep the pressure on Rivers all game long, leading to him trying to force one it. If Gordon goes off, it will be a different story, but we like the Broncos to hold serve at home Monday night.